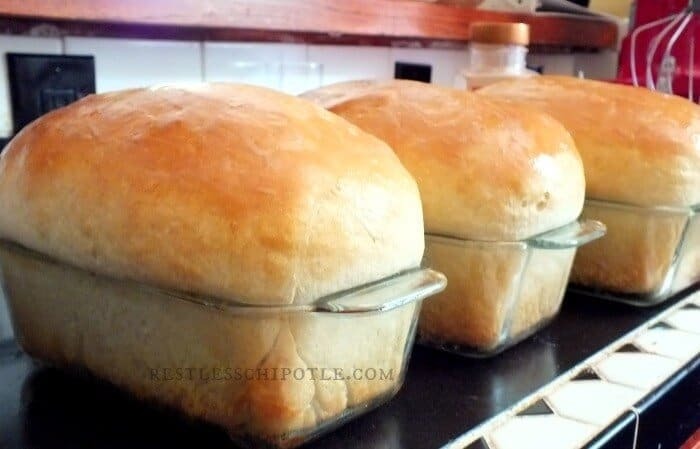 Restless Chipotle » How Do You Make Homemade Bread from Scratch? How Do You Make Homemade Bread from Scratch? Clear, step by step instructions and images help the beginning baker learn how to make homemade bread from scratch. You’ll see how to tell when bread has risen enough and there’s a video that shows you how to knead the dough. If you want to make bread this is the best place to start! Use any of the recipes below and follow the easy tips and instructions here to create a gorgeous loaf of homemade bread! Making Homemade Bread Can Be Intimidating! It sounds scary – let’s face it most people find yeast baking intimidating! It’s really easy though – read through this quick start guide and you’ll see what I mean. You may also like this more comprehensive homemade bread baking guide that I created. * A lot of people ask if the ginger is necessary. I found this tip in one of my antique cook books from the late 1800s. It was handwritten in the flyleaf and I’ve used it ever since. It does help to activate the yeast but you don’t absolutely have to use it if you don’t want to. In a medium sized bowl you’ll mix the yeast, ginger, sugar, and warm water. Make sure the water isn’t too hot. Set it aside for 5 minutes or until foamy. If you are using rapid mix yeast this isn’t necessary. Add some of the flour and mix until smooth. The flour coats the yeast cells and helps them rise better when you do this before adding butter. When dough pulls from the sides of the bowl move it to the counter and knead until elastic and smooth. It’s important that you knead thoroughly. When the dough is kneaded properly it will feel the same as your earlobe when pinched. Punch down and form into two loaves. You can do this by rolling it out flat, then rolling it up like a jelly roll and tucking the ends underneath. OR you can just mold it into shape. Place in greased loaf pans and grease tops. Don’t slice the bread while it’s hot. 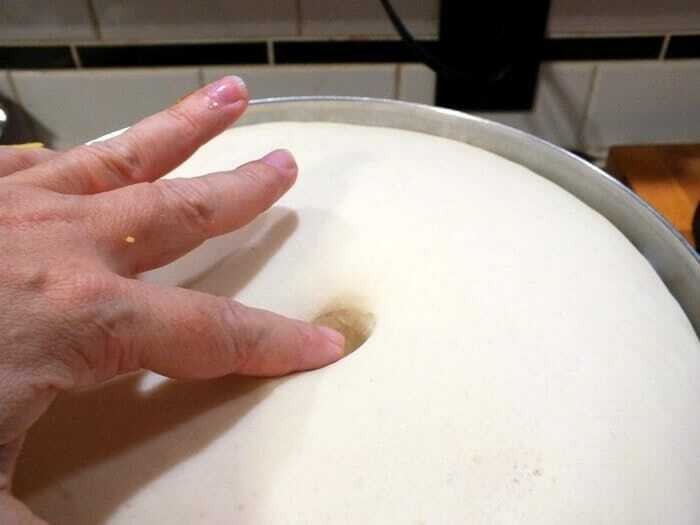 When fully risen your finger will leave a dent in the dough and the bowl will feel light when you pick it up. See how the dough looks puffy and smooth? It’s definitely ready to be punched down. Punching the homemade bread dough down is exactly that. Drive your fist into the center. No need to be gentle. If more people made bread the world might be less violent. Once you’ve punched down the dough fold the sides in. You should have something that looks like the image above. See how the top of the dough is no longer smooth and puffy? Be sure to let it rest a couple of minutes before shaping. What size pans do you use for bread? I use 9-inch by 5-inch glass pans. You can use metal pans as well. Yes. Let it cool completely, wrap it tightly, and freeze for up to 3 months. I love my glass bread pans. I think they heat more evenly. 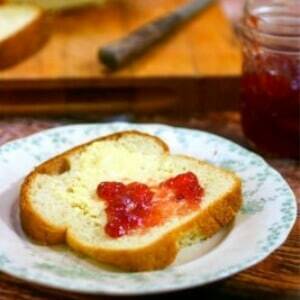 This is the most basic white bread recipe ever. It’s a simple yeast bread that doesn’t require many ingredients at all yet it results in a tender loaf with a crispy crust. If you want a soft crust cover the loaf with a towel while it cools. Add the yeast, 1 teaspoon of sugar, and 1/4 cup of the water to a small bowl. Set aside until it looks foamy. Add the remaining water and sugar to the foamy yeast mixture and stir. Add the melted butter and salt. Beat for a minute or two on high speed of the mixer, stopping to scrape the bowl occasionally. Stir in enough of the remaining flour so the dough makes a ball. Turn out onto a lightly floured surface and knead for about 8 minutes – or until the dough pulls back when you stretch it. 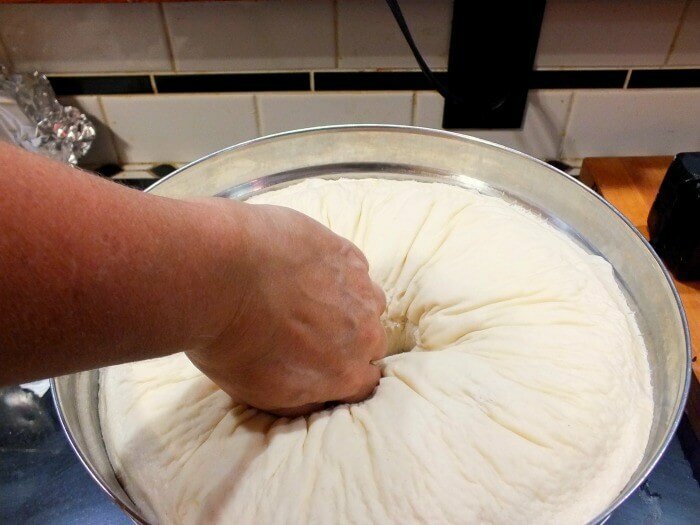 Add the dough to a large greased bowl. Grease the top of the dough and cover with a clean towel. Let rise for 1 hour, or until doubled. Roll each into a rectangle using a rolling pin. Begin at the short end and roll the rectangle up tightly. Pinch the seams and tuck the ends under to seal. Repeat with the other rectangle . Place each loaf, seam side down, into a greased loaf pan. 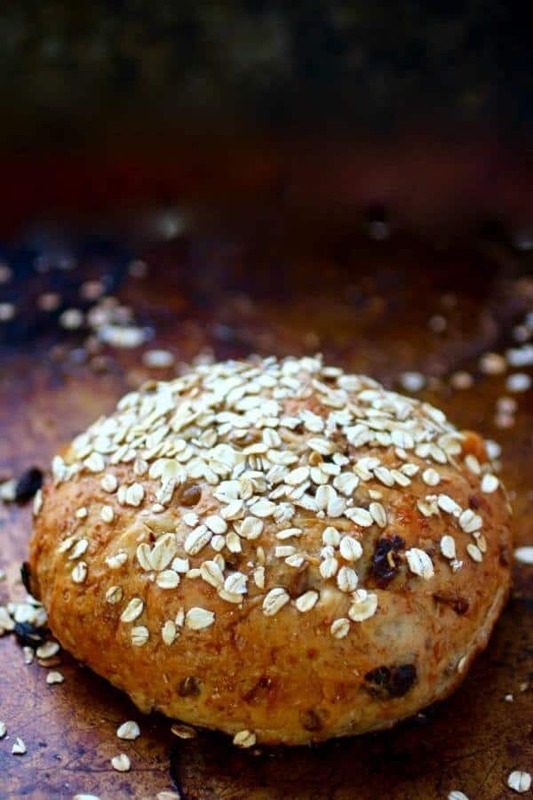 Cover with a towel and let rise until double, about 45 minutes. Bake the loaves for 25 minutes, or until golden brown. Let sit for a minute then run a knife between the bread and the pan to loosen it. Lay the pans on their sides for 5 minutes. Remove the bread and let cool completely. You may substitute milk (110f) for the water if you want a richer bread. I just discovered you and am reacquainting myself with bread baking.i had to give up so many loved hobbies due to hand and wrist issues but recently discovered a mixer to help replace a lot of the strenuous work. I am desperate to learn if your recipes can be kneaded in my ankershum mixer and if so what length of time would you recommend for your bread recipes.? I am familiar with the Bosch mixer but for my own preference I chose the ankershum. Thanks so much any advice will be greatly appreciated. 🙂 so glad you’re here! I think it would be about the same as the Bosch – 5 minutes or so. Go by the feel of the dough.